Beijing has every right to build military defense facilities on the South China Sea’s Spratly Islands, as they are part of the country’s territory, the Chinese Foreign Ministry has said. Chinese Foreign Ministry spokeswoman Hua Chunying made the statement during a briefing on Tuesday after being asked to comment on a fresh report from Washington’s Center for Strategic and International Studies (CSIS). In the paper, the US think tank warned that Beijing is now preparing to station warplanes and other military hardware on the artificial islands it has built on the Spratly archipelago in the disputed South China Sea. “I understand that you’re talking about a report by the American research center, but I’m unaware of the details,” Hua said at a daily news briefing, when asked about the CSIS report. “But we keep reiterating that the Nanshan Islands (in the Spratly archipelago) are an integral part of the Chinese territory,” Hua said. “As for China deploying or not deploying necessary territorial defensive facilities on its own territory, this is a matter that is within the scope of Chinese sovereignty. It’s our right for self-defense, which is recognized by the international law,” the spokeswoman stressed. Monday’s report from the Asia Maritime Transparency Initiative, a CSIS branch, says Beijing has “largely completed” its military construction on the Fiery Cross, Subi, and Mischief Reefs of the Spratly Islands. The think tank came to the conclusion after examining satellite images of the area taken earlier in March. “So look for deployments in the near future,” CSIS director Greg Poling said, as cited by Reuters. 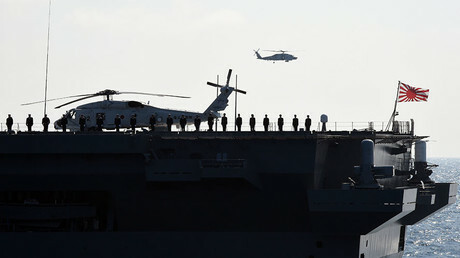 The newly-built structures include naval, air, radar, and defensive facilities. Among them are hardened shelters with retractable roofs for mobile missile launchers. Fiery Cross is now equipped with hangars capable of housing 24 combat planes and three larger aircraft, including bombers. 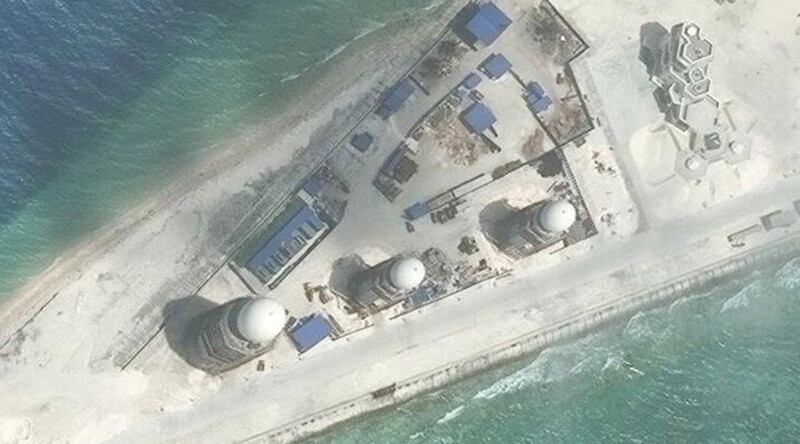 Beijing also installed HQ-9 surface-to-air missiles at Woody Island in mid-2016 and has deployed anti-ship cruise missiles there on at least one occasion, the think tank said. 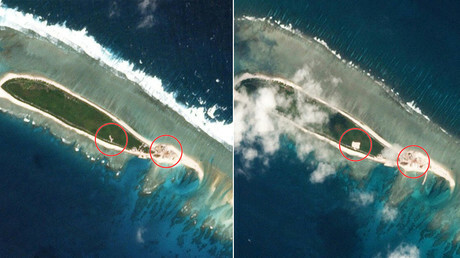 CSIS believes the airbases in the Spratlys and on nearby Woody Island will allow for radar coverage of nearly the whole South China Sea and make it possible for Chinese military planes to conduct operations throughout the area, which encompasses an important international trade route. While Japan, Vietnam, the Philippines, and other nations all claim parts of the South China Sea as their own, China says that most of it is within its territory.